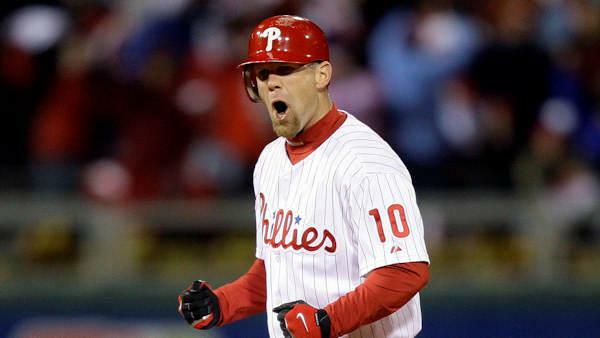 PHILADELPHIA - Outfielder Geoff Jenkins was released by the Phillies on Tuesday. According to a press release from the team, the move was part of the club's effort to move closer to their 25 man opening day roster. Action News has learned the team made the move because they're looking to land veteran Gary Sheffield, who was released by the Tigers on Tuesday morning. The 40-year-old Sheffield is one home run shy of 500 in his career. GM Ruben Amaro Jr. confirmed the Phillies are interested and have talked to his agent about making a deal. The 31-year-old left-handed hitter signed a two-year contract on December 20, 2007, that included a mutual option for 2010. The Phillies are responsible for his entire salary, including the buy-out option, unless he is claimed on waivers. In 115 games last season, Jenkins batted .246 with 16 doubles, 9 homers and 29 RBI. He was on the disabled list from August 23 until September 10 with a right hip flexor strain. The veteran of nearly 12 major league seasons played in his first postseason in 2008. He had one hit in four postseason at-bats, a double in the resumption of Game 5 of the World Series that led to the go-ahead run.